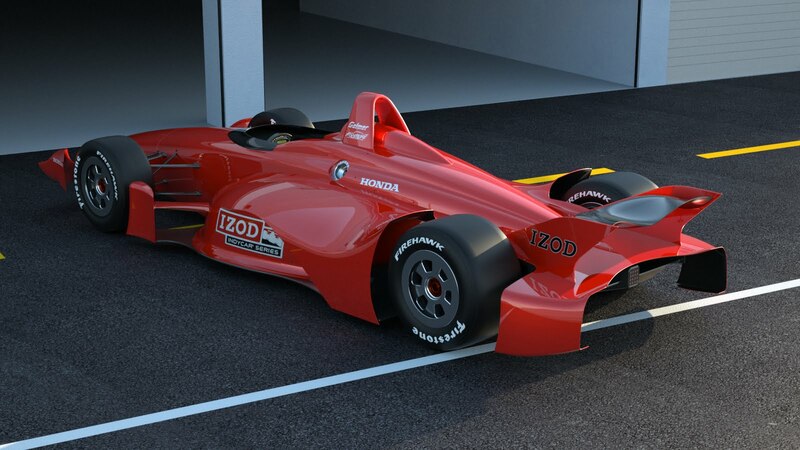 After years of anticipation, it appears as though we'll know the future of the IZOD IndyCar Series in just 12 days. Originally scheduled for the end of June, the 2012 formula announcement was pushed back to July 14th, a day with little to no sporting news. With several of the hope full companies publishing multiple designs, we only have the final images that were presented to the ICONIC committee from Swift and BAT, as seen below. 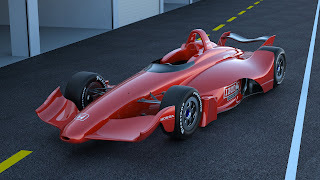 Dallara was the first to release images of their proposed 2012 IndyCar, however, the revisions made to the chassis' have stayed under wraps, making it the most covert of all the designs. Although the Dallara concept that was presented to the league is not a "completely separate design", it is believed to be an evolved version of one of their original 3 images, as seen below. DeltaWing, by far the most radical design of the group, are the most talked about as well. The only team to build an actual mockup, although it was just foam, is believed to have made multiple changes to their chassis. However, the magnitude of the changes are unclear and the only images that have been released were the originals, as seen below. Lola, who is thought to be one of the front runners for the bid, released 2 images earlier this year. It's still unclear if the designs have experienced any changes or even which of the 2 chassis' was the final proposal. Lola's original 2 releases are seen below. Safe: The new chassis must adhere to the league's already high safety standards while exploring new technology to improve safety in all aspects of the car. Raceable: The new chassis must continue to produce the exciting racing that has become signature of the IZOD IndyCar Series while not affecting other cars on track (i.e. less sensitive to the turbulence). Cost-effective: The league continues to work to reduce the cost of participation for teams in the IZOD IndyCar Series, which remains an important priority in this economic climate. The new chassis must have a price point that adheres to that goal. American-made: The new chassis must be built in the U.S., preferably at an Indiana-based facility. Less mass/More efficient: A lighter chassis with less mass that produces the same aerodynamic effect in an efficient way. Relevant technology: The league would like the new chassis to be relevant to the future of the consumer auto industry; innovative technology that is born on the racetrack and can translate to consumer cars. Modern Look: More space for sponsor logos, cars easily identifiable. Green: The Indy Racing League prides itself on its role in the greening of racing and wants to maintain its position as a leader in environmentally-friendly initiatives with this chassis. With only the information on 2 of the 8 objectives known to the public, and one of those (Modern Look) being debatable, only the American-made requirement is concrete. Of the 5 designers, BAT, Swift, Dallara, DeltaWing, and Lola, all have committed to building the chassis' in the United States. 4 of the 5 have committed to a central Indiana manufacturing plant, with Swift proposing a Southern California location for the majority of the construction.